events, attractions and days out for the whole family, it's no wonder so many people choose to spend their holidays here! Whenever one thinks of a summer holiday in the UK the image of a traditional sea-side break is always the first thing that springs to mind. Sea-side holidays are fantastic for families and groups of friends alike - laze on the beach during the day, enjoy the amusements of the pier, and feast on the traditional grub of Fish 'n' Chips! Suffolk has a lovely selection of beaches along its glorious coastline, staying in one of its coastal hotels means you can soak up some sun or take a relaxing stroll along the beach at anytime. Please see our article on Hotels on the Suffolk Coast and browse our listing of Coastal Hotels in Suffolk to reserve your seaside break today! The countryside in Suffolk is a breath taking sight indeed! Fresh air, stunning views, walks, picnics, nature-spotting, fishing and many other rural delights can all be enjoyed and extended until late evening when you're on your summer break. Suffolk's country hotels come in all shapes and sizes, from the grand to the homely, but one thing is for sure - it is impossible not to feel completely refreshed and relaxed when staying in the Suffolk countryside! festivals and events on so start planning now! Family friendly hotels in Suffolk are welcoming to all and often have additional extras such as Family Rooms, large gardens, children's menus and more to ensure that your stay is as easy and convenient as possible. For more general information please read our articles, Family Friendly Hotels in Suffolk and Family Friendly Breaks in Suffolk, and see our listing of Family Friendly Hotels in Suffolk to make a reservation. Two more cost-effective holiday accommodation options are staying in a Suffolk Inn or Pub Hotel, or a Bed & Breakfast Hotel. Suffolk Inns & Pubs are wonderful in the summertime, with their range of refreshments and pretty beer gardens. Many offer accommodation above the or nearby the main premises, with en suites and family rooms available, and some offer Accommodation & Meal deals. 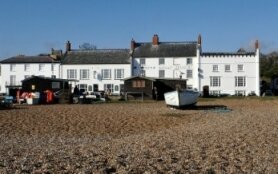 Suffolk Inns & Pubs with Rooms , and make a booking via our LIST of Pub Hotels in Suffolk. Suffolk B&Bs are equally affordable and often have more of a home-away-from-home atmosphere - not to mention the convenience of having your breakfast prepared and waiting for you each morning! 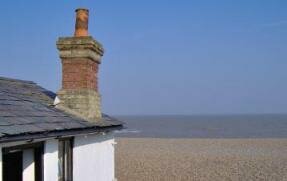 Please see our Guide to Bed and Breakfast Hotels in Suffolk for hotels that offer Bed & Breakfast rates. On the other hand if money is no object and you want to pamper yourself during your summer holiday in Suffolk, Luxury Hotels and Health Spa Hotels are right for you! Bring the kids along too and stay in a Luxury Family Hotel in Suffolk! 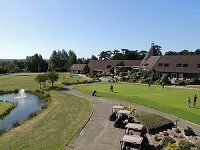 Please also see our list of Health Spa Hotels in Suffolk and our list of Luxury Hotels in Suffolk. HAVE A GREAT SUMMER HOLIDAY IN SUFFOLK!